The Upperdeck accommodates up to 30 guests. 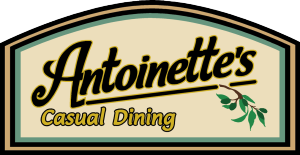 It’s sectioned off, but still open to the vibrant atmosphere and appealing amenities of the rest of Antonio’s. Celebrate your special occasion with valued friends and family. Enjoy the great food, watch the game on one of our nine TVs, play darts, billiards, and skee ball. Call us to reserve your space. Any special needs? Something particular you’d like? Talk with us. We’ll accommodate anybody. For that very special social gathering, Antonio’s spacious interior easily handles 150 guests.